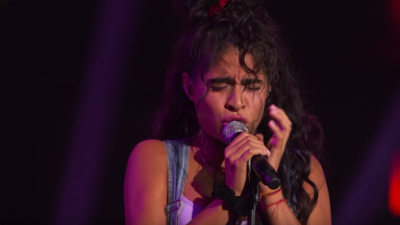 Jessie Reyez is quickly climbing to the top of the music industry and made an appearance at the 2018 MTV Video Music Awards with her performance of "Apple Juice." The 27-year-old female artist had two nominations for "Push Artist of the Year" and "Video with a Message"
Reyez was born and raised in Toronto Canada with her Colombian parents. In her high school years, she had began writing music and playing guitar since her younger days. When she returned to Toronto, she was accepted to The Remix Project's Academy of Recording Arts and gained speed and experience in her career. Later she collaborated with King Louie then teamed up with Calvin Harris going on tour. She released "Gatekeeper" on YouTube where she racked up over 26 million views. WARNING: The music video below contains explicit language - viewer discretion advised.